These are FANTASTIC! 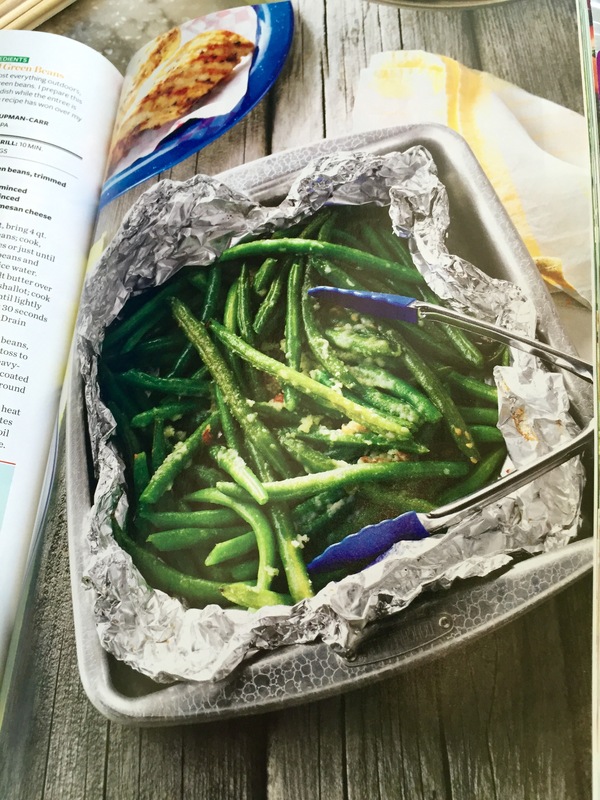 If you love garlic and green beans, and both of them together… PLEASE make these! You won’t regret it! Bring water to a boil in a stockpot. (Please trust me here: add a bunch of salt and a few pinches of sugar-you won’t regret it!) Drop in the beans and boil for 3-4 minutes. Drain them then add them to a big bowl of ice water to shock them and stop the cooking. Now taste one. Aren’t you glad you added the salt and sugar??! Now melt the butter in a small pan. Add the shallot for about 4 minutes, until it just starts to brown. Add the garlic for 30 seconds then turn off the heat. Toss the beans with the buttery goodness. Add the cheese and toss. Stick all that on some heavy duty foil, sprayed or drizzled with a little olive oil. Put another piece on top and seal the edges tightly. Grill, over medium heat (I use low on our little Weber Q), for about 5-7 minutes. Flip the packet, grill a few more minutes. Then enjoy!